After his mentor is viciously killed, Bastien Harcourt seeks to avenge his death. But he soon discovers himself astonishingly out of his depth when confronted with a beautiful, daring young woman who is out for his blood. Revenge is the name of the game for Raeven Russell. The daughter of a British Admiral, Raeven believes Bastien is responsible for her fianc 's death. But once the fiery beauty crosses swords with Bastien, she's not sure she wants him to change his wicked ways. Fans of Julia Quinn, Sabrina Jefferies, and Lorraine Heath will be spellbound by this fast paced historical romance that combines revenge, adventure, and romance on the high seas. 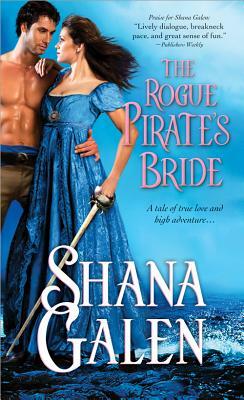 Shana Galen is the bestselling author of fast-paced adventurous Regency historicals. She is a three-time Rita Award finalist (RWA's most prestigious award for published romance fiction) and winner of the coveted RT Reviewer's Choice KISS (Knight in Shining Silver) Award. Shana teaches 7th grade English, is active in RWA, and lives with her family in Houston, Texas.